Hi my lovelies, how have you been doing? Today we will continue talking about summer’s hot topics, and this time it’s all about Vintage Swimwear! How is your week going so far? I spent my time finally visiting the center of Vienna with some friends from Belgrade (and I’ve been here for almost a month! ), but what can I do when I don’t have the time to play around like a tourist! I barely had the time to sit for a glass of much needed Aperol Spritz! All of the products I’ll be mentioning here are from the Zaful online shop, so make sure you go check them out and click here! You know I love some retro ’50s pin-up and rockabilly fashion, which you can’t really tell because in the winter I almost always wear black or gray. Honestly, one of the few things I am excited about in the summer is getting to wear some color. Retro fashion is both colorful and edgy, and that’s why I like it so much. Besides, a huge part of it is that vintage silhouettes fit curvy body types such as mine! Lucky for us, the vintage swimsuits are back! Now you can look and feel confident at the beach! No more shame and covering that body! 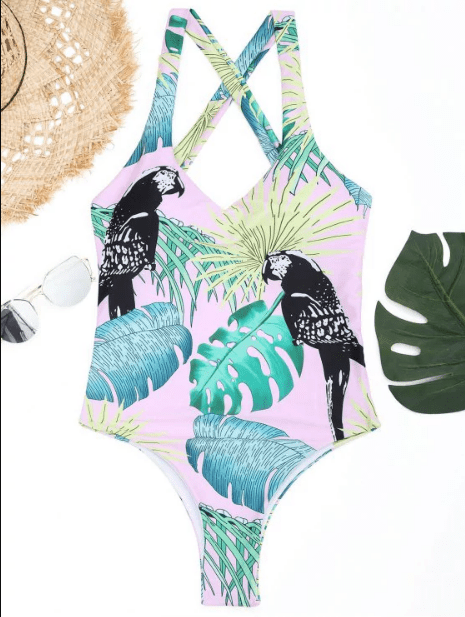 Retro swimsuits accentuate the right things while hiding the problematic parts, such as the belly – thanks to that high waist, you no longer have to wear a one-piece swimsuit! Are you more into a one-piece swimsuit! No problemo! 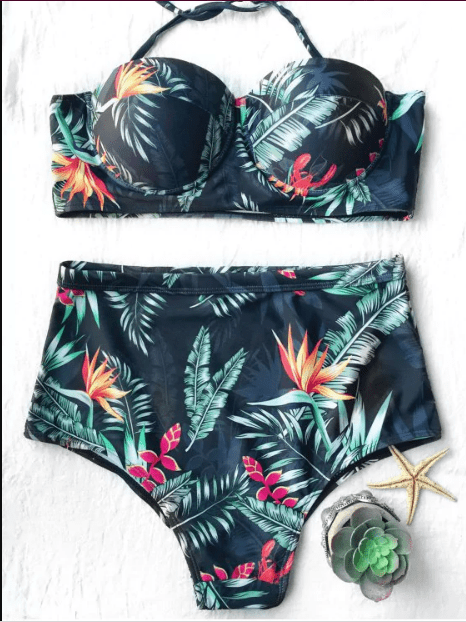 I can’t get enough of this tropical print cause it’s so gorgeous! No fashionista can resist this summer! It also has a retro vibe, which I love so much! Click here to see more. If you like to show off your body and a two-piece swimsuit is more your thing, you gotta go for it! Again I love this pink one with green palm leaves! See how the palm leaves trend is repeating itself each year in fashion and interior, and it looks like it’s here to stay! Shop this crop top bikini here. They all look so nice, I will check Zaful site, I see they offer great swimwear! Odlicni su kupaci, prvi mi se posebno svida! 😍 Odlican blog-post!